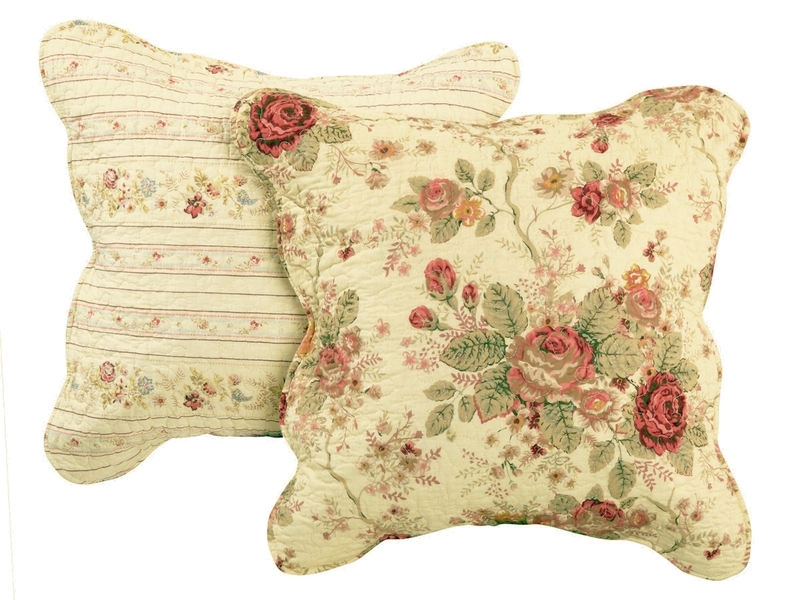 The soft ecru fabric features garden roses in rich red and gold hues. Framed and reversed to a coordinating striped fabric. 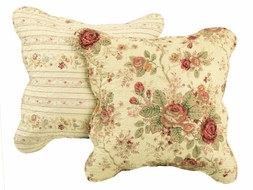 Finely stitched for durability and scalloped along the edges.